… to bring you to where you need to be. There isn’t anywhere else to go. There is NO perfect place. There is NOWHERE you need to be. 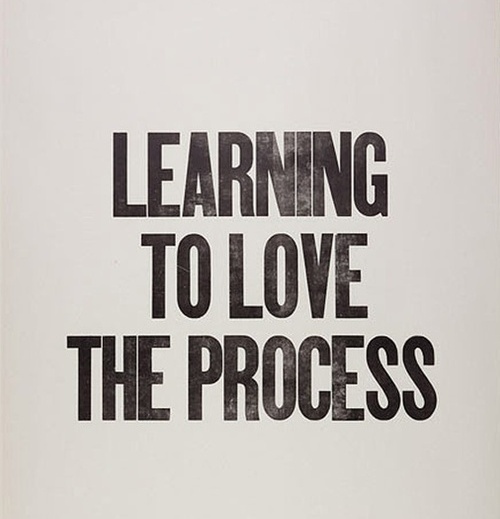 You have only to enjoy the process of your life, step by step. There is a divine process to your life. It has already been mapped out for you. Your only task is to walk it. Of course you have free will and can change any or all of it at any moment, but the blueprint is always in place to help navigate you. So how does that translate to your daily life? Believe it or not, destiny has a funny way of finding you. There is a logic to your path, even though it may be hard to see. Instead of fighting/forcing things to happen, learn to sit back and trust in the process of your life to unfold your truth. Whatever is happening to you, is MEANT TO BE happening in that moment. Whatever is not working in your life, is NOT MEANT TO WORK in that moment. You are NOT lost. You are NOT broken. If you are not where you want to be, it is because it is NOT YET TIME. Your life has a perfectly choreographed timeline which the universe always upholds. Even though you may not understand why you are where you are, learn to trust the process of your life to bring you to the exact next step you require. So Instead of questioning where you are, learn to understand WHY you are there. By spotting the patterns and learning to trust your path, your life opens in miraculous ways. You may not have all the answers but the universe always does. Everything always happens in its own time frame. Learn to trust in the process of your life to bring you where you need to be WHEN you need to be there. There isn’t anywhere else to go. Have you considered adding sharing buttons to these in the top of the email to make it easy to share on FB/Twitter. May be able to get some social traffic back.